Aussie rules fans will love these removable wall stickers which turn any room into a footy field. Choose your favourite team and kick the winning goal. 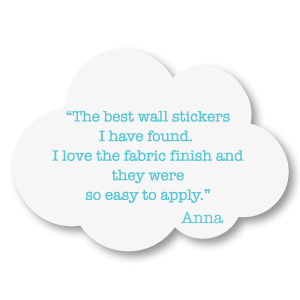 The Footy wall decal design is a sporty and inspiring feature for a child’s bedroom. Design idea: The goals posts fill a wall, but the footies can be bounced all over the room. Little footy fan! My 7 year old son absolutely loves his footy goals in his room and is the envy of his friends.